This review is not a comment on the content of the book or on the quality of the narrator's voice. If I can get a refund, I may even re-purchase the book in Kindle format and give it another shot. The reason for my one star review is that this is the only Audible purchase out of well over a hundred that I've wanted to return. Perhaps my expectations were out of line, as this is the first programming book I've purchased in audio form, but I just can't imagine how anyone (other than perhaps the visually impaired) can listen through the endless and unnecessary multi-syllable pronunciations of punctuation. 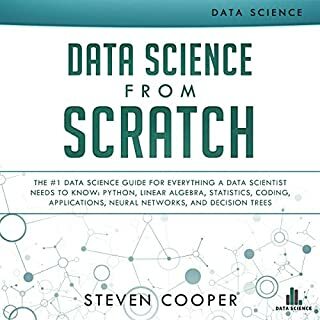 I had expected that listening to an audio book with code samples would either omit the samples and refer to a companion PDF, summarize the samples to their logical elements, or use some sort of abbreviated pseudo-code syntax that was pronounceable. None of those approaches were taken, however, and as a result, you have to listen to hours of fully pronounced "parenthesis, open squiggly bracket, new line, semi-colon, etc." Programmers reading this know how many special characters are in code and what a nightmare this must be to listen to. Just open any program you've written and try reading it aloud, character by character. Even when programmers talk to each other about code, they don't pronounce out every syllable of every piece of punctuation BECAUSE THAT WOULD BE INSANE. I also can't imagine anyone in the modern world wanting to learn the syntactic particulars of code through an audio book. There are MANY better tools for that from which you can copy and paste and see and consume the information more quickly. If you are a Python programmer, you KNOW you are supposed to wrap methods with parens, list elements with brackets, etc. Hearing that minutiae in EVERY example completely ruins my ability to get anything from this book. I tried just hitting the skip button on my audio player, but it became like the world's worst clicker mini-game and I still wound up skipping too much conceptual text and hearing too much code. To me, it would be as if a book for runners, before imparting any new information tips or theories, insisted first on explaining how to move your feet before every single paragraph. Did any programmers actually make it through the audio version of this? I'm so confused by the positive reviews. Who has the time or patience for this? Thanks to the author for presenting such a great and interesting guide. I like to the way of the author. The voice are very clear and good to listen. One of the best deal I have on audio books. The two manuscripts are narrated well and clear to understand. 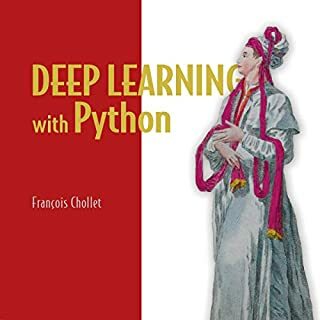 I want to learn more about python machine machine learning from the same author. Can't wait for it. Very easy read. If you are wanting to learn more this subject, I would highly recommend. Highly recommend. 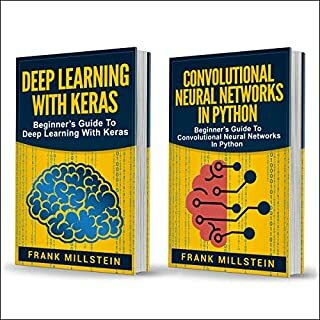 Fantastic introduction to machine learning in Python. The examples are well written, and do a very nice job of introducing both the implementation and the concept for each model. 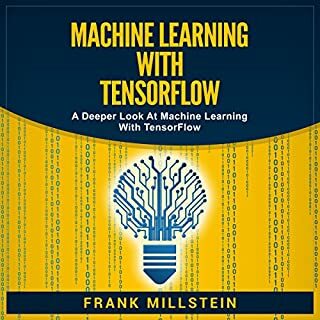 This is really a good book if you are new in machine learning. I read about what machine learning is, about the disadvantages and advantages, and how much we need it in the future. Of course, every beginner should identify with the phrase "artificial intelligence" is probably the first term! Awesome !! 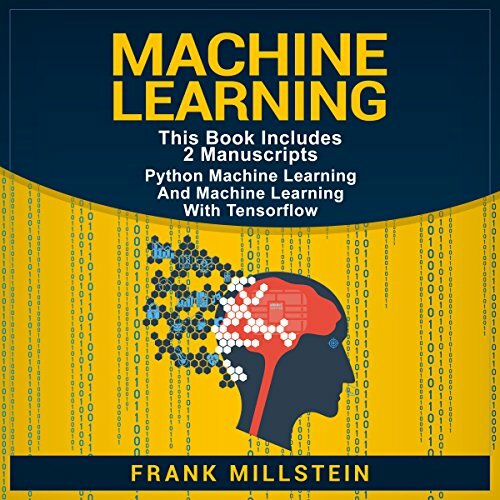 I will need a second pass on the book but I think it gave a great introduction to the world of machine learning. Not boring at all! 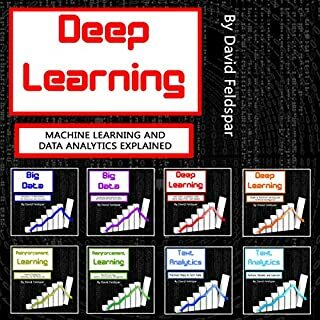 This book is explaned for absolute beginners to the concept of machine learning. 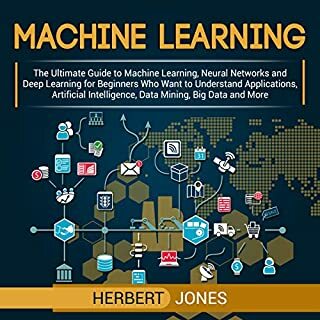 lisent what machine learning is, how neural networks work, more about deep learning and Algorithms, different applications, and much more.